Expecting a rush for campsites after Christmas we left Flinders Chase NP and headed for Stokes Bay on the north coast. Having not had much company so far the campsite looked pretty crowded but we were shown a little slot under a tree and squeezed in expecting to stay a couple of days as we were accustomed. We ended up staying a week due to the warm welcome that the locals extended to us and the stunning beach, accessed through a cave, that has a natural rockpool keeping the kids busy for days. Our neighbours Thelma and Terry Bennett, KI locals had been coming with the extended family for years, and Terry kindly took me out on his boat a couple of times introducing me to using braided line to catch the huge King George Whiting that frequent the waters down here. He then shared a bag full of the sweetest juiciest grapefruits from his garden – the best way to start the day is a cold grapefruit half! Our experience just improved with other relatives giving us a big piece of tuna steak fileted straight from the morning’s catch – that made several meals from ceviche to plain quick pan seared. The kids took a couple of days but then made a few good friends around the campsite, more rockpool buddies to explore the caves and swim throughs with their masks, fins and snorkels. 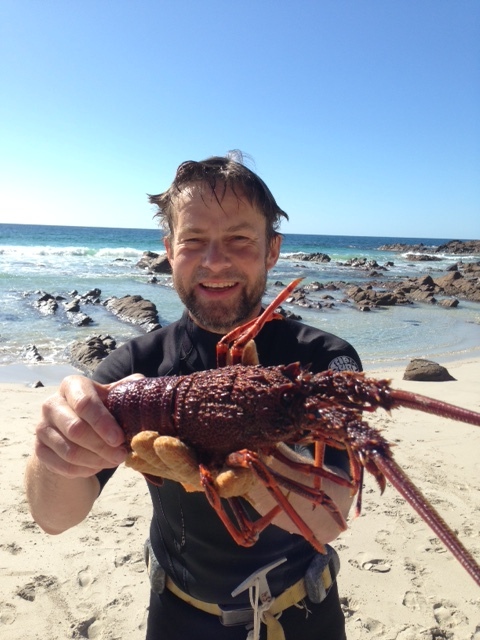 I managed to snag a few crayfish that made very pleasant dinners and our days passed very peacefully over the festive season. New Years Eve saw us on the beach with a roaring fire and midnight fireworks lighting up the calm seas, the latter only possible due to favourable winds. All Fifty Toes even made it to see in the New Year, though the beach party continued on until the wee hours. Once again we had been given a truly local KI welcome, making this one of our favourite spots so far. Then to top it off our new friends James and Liz delivered us 2 huge pieces of home-made haloumi cheese, from Jersey cows. We tried it deep fried two ways, one with tomato and the other with a squeeze of lemon – both delicious!